I cannot believe May is almost over. Even more I cannot believe we are almost halfway through the year. I have not done a monthly review in a long time so here is one for May. Miles Ran/Last Month: 115.45/90.22. I did 19 runs this month for a total of 23 hours, 21 minutes, and 41 seconds. Highest Mileage Week: 38.13. This was during the second week this month and it took me 7 hours, 45 minutes, and 41 seconds. Races Planned/Completed: 2/2. The Cinco de Miler was for a friend to celebrate her getting a Master’s Degree in Counseling. She did not attend commencement but instead asked her family and friends to run with her. I also ran the Soldier Field 10 Mile which I signed up for back in November when it was $59. I’ve run it in the past and have always enjoyed it. This year was no exception. The weather was perfect, plenty of parking and I felt great for most of the race. Current Ache/Pain: Sometimes my knees hurt. I need to do a better job of icing them. On the positive side, my IT band does not hurt as much when I foam roll. Current Book: None, but I need to get a copy of The Subtle Art of Not Giving a F*ck for book club next month. Have you read that book? Current Song: Won’t Go Home Without You by Maroon 5. I can listen to this all day. Current Treat: Cold Brew Coffee from Starbucks. xSo good. Next Race(s): Utah Valley Half Marathon on June 10. Current Excitement: I am excited about my race in Utah. I will be running with Holly, Marcia, Mary Beth, and Teresa and am looking forward to meeting them (I met Marcia in March 2015 at a race but have not seen her since that race). My last half marathon was the Buffalo Half Marathon last year so it is time to do another one. Also, in July I will be in Seattle for one day and then head out to Alaska for a running cruise in which I will also run a half marathon and cross off AK off my list for state #38. Looks like you had a good month overall! I know so many bloggers/runners that are doing the Utah Valley 1/2 – it should be a load of fun! Thanks! It will be fun! Not looking forward to the early wake up call since the race starts at 6am and we need to board to the start. Have a great time at the UT and AK races! Glad you have been able to keep major injuries at bay! 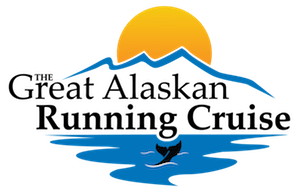 I was jealous of Utah but that Alaskan running cruise sounds spectacular – tell us more about it! I seriously have race envy for all of you ladies running in Utah this coming weekend! I would have definitely joined you, but my son graduates from The University of Chicago Booth with his MBA so we’ll be celebrating his accomplishments! Have fun in Utah and enjoy that gorgeous course and meeting new blogging friends! Also, can I just say how fun I think it is that your friend asked friends and family to run with her to celebrate her masters degree? Thanks! Have a great time this weekend in Chicago.